Would you benefit from any of these things in your hiring process? Ask us about PXT SelectTM. It is a unique selection assessment that does all these things. 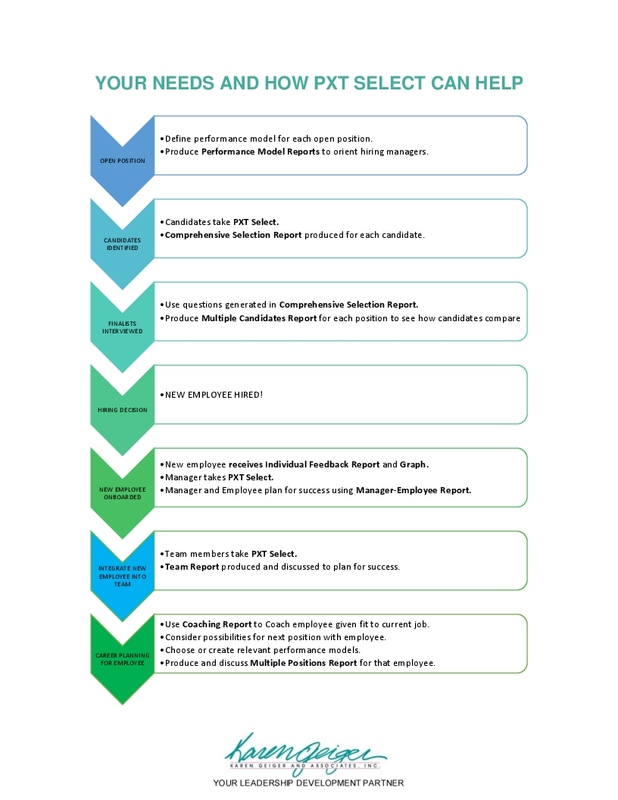 The candidate takes the assessment once, then you get a library of reports you can use throughout their tenure at your organization.